Gygax was the son of immigrants who grew up in Lake Geneva, WI, in the 1950s. An imaginative misfit, he escaped into a virtual world based on science fiction novels, military history and strategic games like chess. In the mid-1970s, he co-created the wildly popular Dungeons & Dragons game, determining the rules and inventing the signature 20-sided dice. Starting out in the basement of his home, he was soon struggling to keep up with the demand. Gygax was a purist, in the sense that he was adamant that players use their imaginations and that the rules of the game remain flexible. A creative mind with no real knowledge of business, he made some strategic errors and had a falling out with the game's co-creator, his close friend and partner, David Arneson. By the late 1970s the game had become so popular among kids that parents started to worry -- so much so that a mom's group was formed to alert parents to the dangers of role play and fantasy. The backlash only fuelled the fires of the young fans who continued to play the game, escaping into imaginary worlds. Before long, D&D conventions were set up around the country and the game inspired everything from movies to the first video games. 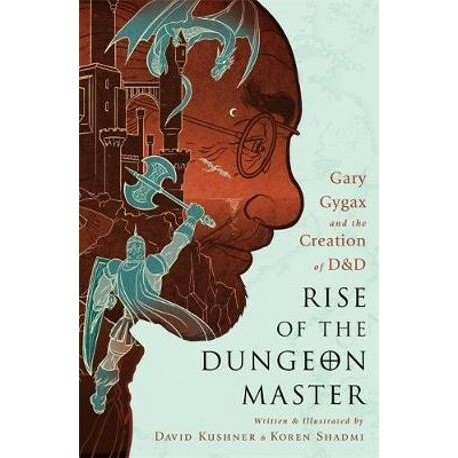 With D&D, Gygax created the kind of role playing fantasy that would fuel the multi-billion dollar video game industry, and become a foundation of contemporary geek culture.